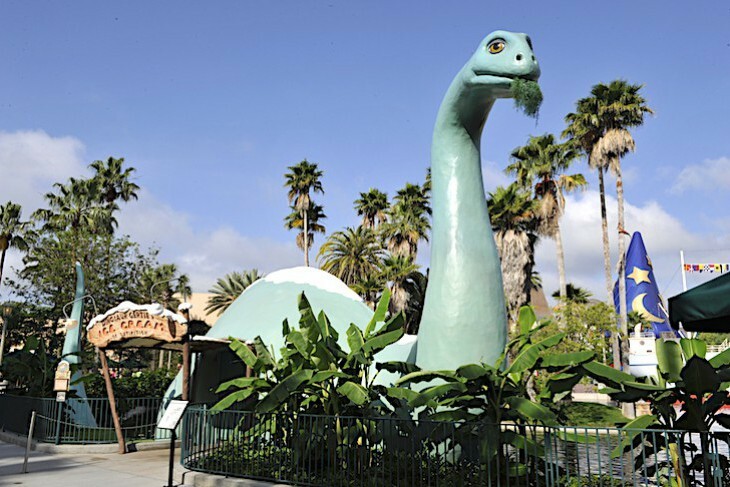 The attractions at Echo Lake nestle around a small lagoon encircled with art-deco restaurants, fast-food spots, and Gertie the Dinosaur in the guise of an ice cream stand. 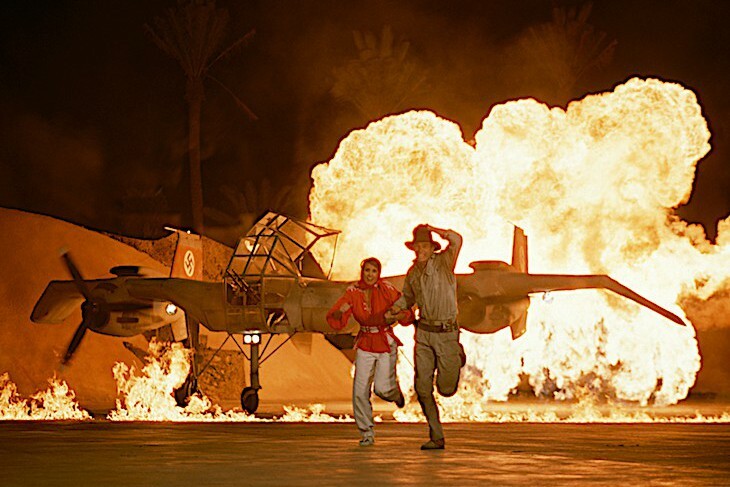 Here you’ll find the Indiana Jones Epic Stunt Spectacular! 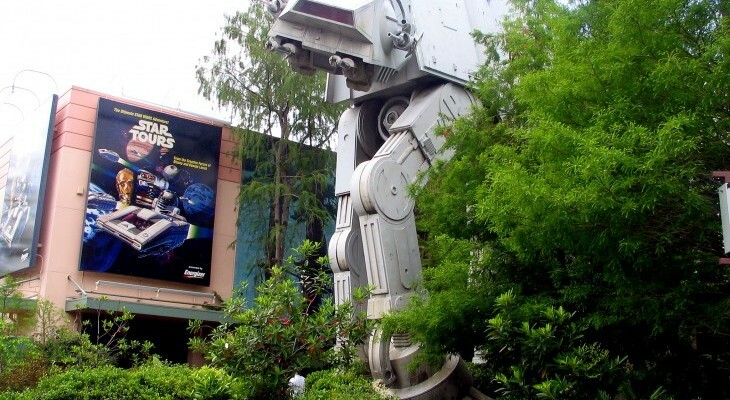 as well as Star Tours® - The Adventures Continue Attraction, the ultimate Star Wars thrill ride. The show’s grand finale finds Indiana making a dangerous escape through a wall of flames, a barrage of gunfire, a large dousing of water, and one massive explosion. Come prepared to feel the heat. Just outside this attraction is Jedi Training Academy i where kids love to get involved in the stage action. Just when you think that a Disney attraction is so outdated that it’s too far gone, they up and make it more fun than ever. Pick up a pair of 3-D glasses before boarding your interstellar space vehicle flight simulator from the Star Tours spaceport. Unfortunately, your launch isn’t going to be a standard one; this go-round C-3PO inadvertently is your pilot on a wild voyage through the depths of the galaxy. Hang tight as he navigates you through jagged rocks on Tatooine, maneuvers around AT-ATs in a crazy battle on the icy planet of Hoth, hyperspaces to Naboo, and flees inside the Death Star in an attempt to escape Darth Vader . . . all this before nearly crash landing back in the hanger bay! And believe it or not this is only one of over fifty scenarios, each with different storylines, so ride again and again if you would like to attempt to experience them all. This is certainly one instance that you had better hope the “Force” is with you. Minimum height 40 inches (3 feet, 4 inches). Not recommended for expectant mothers; those with back, heart, or neck problems; or those prone to motion sickness. 5-minute ride.